Many people increasingly live a part of their lives in the digital world. Many who once banked at a bank, shopped at stores, wrote letters, and flipped through photo albums now access much of their money online, order off websites, email, and store their photos on their phone, the Cloud, and Facebook. This has revolutionized the way we live, but also raises important considerations for what happens to these digital assets when we die. Most estate plans should include specific provisions for digital assets. If a person dies with photos on Facebook, extensive email communications, documents and files on Google Drive and Dropbox, and account balances with Amazon, Paypal, and Venmo, the personal representative will almost certainly be able to obtain them, eventually, but only after a labyrinthine struggle against each website’s terms-of-service agreements and federal privacy laws. Planning ahead of time can streamline this process and eliminate potential headaches at a time when your heirs are already grieving. Provisions in a will and power of attorney document that authorize your personal representative or attorney-in-fact to deal with these websites can be the difference between an email solution and countless hours of fighting internet bureaucracy. 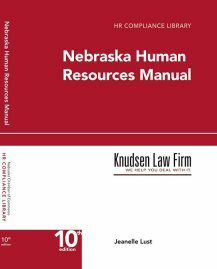 Nebraska adopted the Revised Uniform Fiduciary Access to Digital Assets Act, which went into effect on January 1, 2017. This law strengthens and clarifies your ability to authorize another person or entity to act as your estate’s fiduciary for online assets – files, cash and communications – after your death. Instructions to this fiduciary about what do with online photos, cash and accounts can be incorporated into an estate plan. The law allows you to use an “online tool” – websites and/or software designed specifically for this purpose – to organize your digital assets during your lifetime and prepare them for a fiduciary’s use. More than ever, estate planning requires far more than simply deciding who gets your “stuff” when you pass away. Organization and authority over your online presence can be critical, and should be incorporated into anyone’s estate plan in 2017 and beyond. Contact Knudsen Law Firm at (402) 475-7011 or pdonahue@knudsenlaw.com to learn more or to inquire about estate planning options.